Now we’re officially into summer and we’ve got the weather on board, it’s time to take the drinks outdoors. 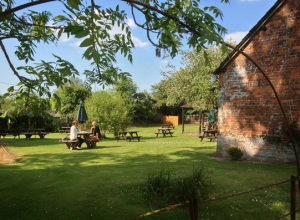 Here is our pick of the best Wiltshire pubs with groovy gardens and other cool outside spaces. Got your own favourite? Do share and I’ll jump in the convertible (I wish…) and go check it out. Tally ho! 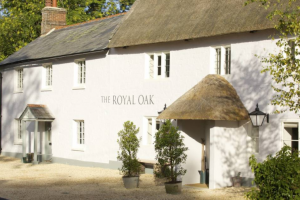 Tucked away in the Nadder Valley, away from the hustle and bustle, The Royal Oak has been an inn since 1852. Since it’s renovation in 2015, the pub has built a reputation for high quality food, superior rooms and a relaxed and friendly atmosphere. There is a lovely mix of old and new, with traditional thick beams and stone fireplaces as well as stylish wooden furniture by local designer Matthew Burt and a fabulous modern conservatory, framed with green oak, that overlooks the garden. 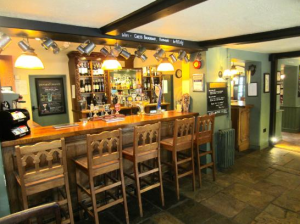 A fabulous English pub with a quirky, country twist. 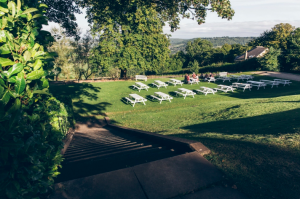 Nestled on the outskirts of the Longleat Estate in the quaint historical village of Horningsham, it is properly dog-friendly, has a lovely beer garden and even rears its own organic pigs. Snort. 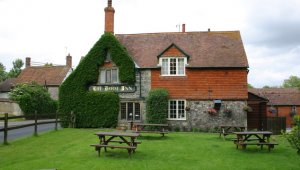 A freehold village pub situated at the edge of the Savernake Forest. 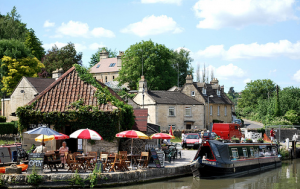 The Kennet & Avon Canal runs right through the lower end of the village, the food is bonzer and there is a lovely, dog-friendly beer garden with a boules pitch. Lovely jubby! A pub purchased on the proceeds of a flutter on the gee-gees has got to be a place where there is fun to be found. The OC was created from the winnings of London nightclub impresario Howard Spooner’s racehorse, Only Dreams, a 100-1 winner at Leicester. Food is from local suppliers and is of the scotch egg with curried mayo and beer-battered haddock with triple-cooked chips variety, the ale is hand-pulled and it’s got a fab garden-slash-suntrap with private access to playing fields and kid’s playground so they can play while you pig out. Perfecto. 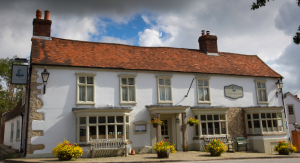 A quintessential country pub offering award winning Modern-British fine-dining experience from Head Chef Jonas Lodge, he of the Fat Duck and the Hind’s Head in Bray fame. Gorge on smoked bacon from locally reared pork, salmon smoked in beech wood, trout cured in beetroot and Ramsbury Estate vodka. The pub has a lovely, bright cafe attached to it, plus a terrace and walled garden. 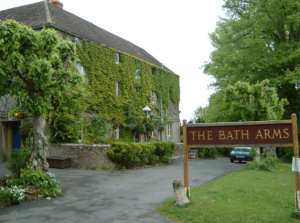 A lovely inn with rooms, deep in the Wiltshire countryside. A favourite with walkers, the food is standard but fresh and locally sourced, and the pub itself is packed with atmosphere. 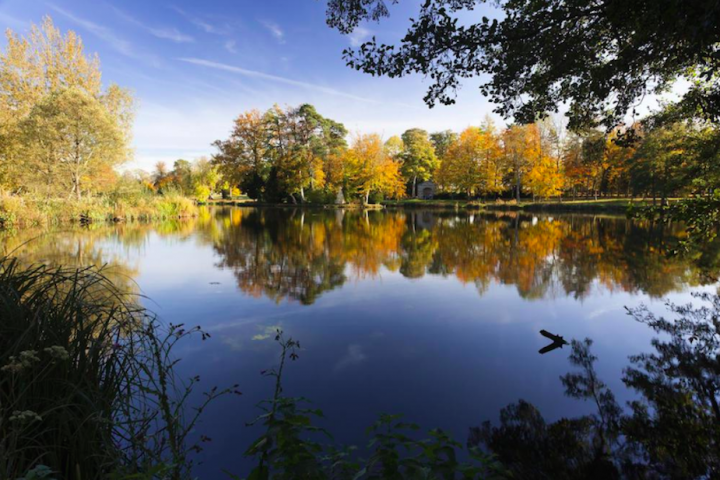 With its idyllic location in a tranquil hamlet, surrounded by green woods and a literal stone’s throw from the beautiful little Bybrook River, this is a true hidden gem. 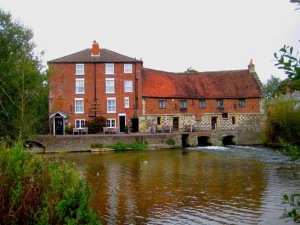 But if the traditional exterior of The White Hart at Ford isn’t enough to take your breath away, dinner here is sure to do the trick as the pub is famous for its steaks. It has a lovely courtyard garden too. 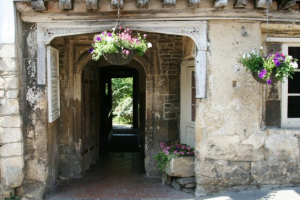 Located in this picture perfect English hamlet, The Cross Guns dates back to 1550. 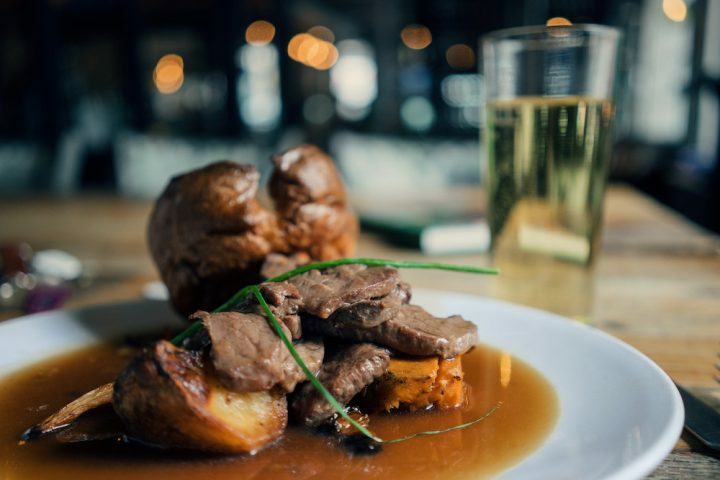 The pub’s historic gables, wooden beams, stone floors and roaring fires make it a wonderfully cozy hideaway during the winter season while in summer its terraced gardens afford an exceptional view of the railway, canal, and river. 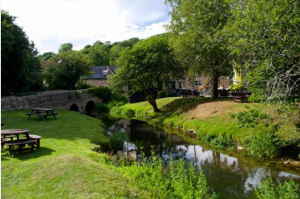 This 15th Century coaching inn has delicious food, large open fires and is situated in the utterly gorgeous village of Lacock. 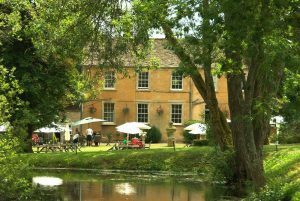 The beautiful garden is perfect for a cream tea or two next to the stream, paddock and kitchen garden. Lovely. The Boot had its beginning as an 18th century coaching inn and it retains many original features, including a large inglenook fireplace but that’s for later – for now, chow down in the large beer garden. 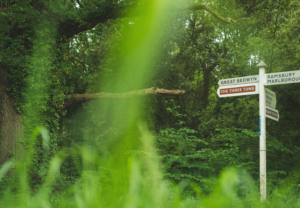 Nestled on the banks of the River Wylye, this is spitting distance from Longleat, so the perfect spot to rest your bones after a day wrestling lions and tigers and bears. The river actually runs through the bottom of the garden. A few minutes’ walk from bustling Salisbury, this is a particular favourite. 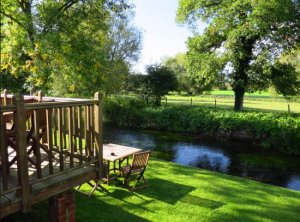 The River Nadder runs alongside and the garden has spectacular views of Harnham Hills. The pub brims with history, from its ecclesiastical roots to a former paper mill in the 1500s, and the grub ain’t bad either. 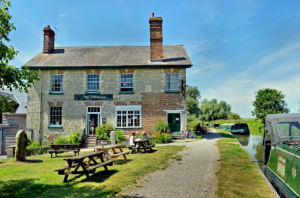 A slightly odd one, this canal-side pub, but it has a small courtyard garden and you can even eat on the inn’s own canal boat. A great place to stop if you’re walking the Towpath Trail, and it proudly proclaims to welcome kids, cats, dogs, smokers, non smokers and muddy boots and well cut suits, walkers, bankers, scaffolders, plumbers (when they turn up), old age travellers and party revellers, actors and film stars. Love it. Located in a dip on the old Roman road, the Fosse Way, between Cirencester and Northleach, we’re talking grounds not gardens at this grand Georgian inn. There are four acres of them with a lake and a section of the River Coln running through them. Plan to stay all day – there’s a great restaurant – or even all night – you can book not unreasonably priced rooms and there are some special offers up for grabs in early July.